The Tykes' second string have been blessed with six home matches and three away encounters. Come on chaps. Let's improve upon 2014's efforts. Leicestershire second XI won by an innings and 37 runs. Leicestershire second XI 24 points, YORKSHIRE SECOND XI two points. The away team were caned on the first day, with Karl Carver conceding 45 runs from six overs. The rest of the bowling attack was also demolished by the hosts. YORKSHIRE SECOND XI won by an innings and 101 runs. YORKSHIRE SECOND XI 24 points, Northamptonshire second XI two points. Ben Coad was clearly the match-winner, but Ryan Gibson also hit an unbeaten century, and his first innings bowling consisted of 5 overs, 4 maidens, and 3 wickets! YORKSHIRE SECOND XI won by eight wickets. YORKSHIRE SECOND XI 23 points, Derbyshire second XI five points. Adam Lyth was twice dismissed by White for nine and then a duck. By contrast, Will Rhodes compiled 128 runs in the match, without losing his wicket. Worcestershire Second XI won by an innings and forty runs. Worcestershire second XI 23 points, YORKSHIRE SECOND XI three points. Coad and Warner bowled economical figures for the visitors, but the team's batting was way below par, in spite of Ryan Gibson's excellent 66 off 67 balls. Match drawn. YORKSHIRE SECOND XI nine points, Lancashire second XI nine points. Coad and Fisher bowled really well for the hosts. After the weather's unwelcome intervention, there was still time for Tattersall to be dismissed for only 2 runs. Warwickshire second XI won by four wickets. YORKSHIRE SECOND XI six points, Warwickshire second XI twenty points. Glenn Maxwell thumped 77 off 69 balls. His team dominated for the first two days, but the visitors achieved a successful run chase on the thrid afternoon. Durham second XI won by forty runs. Durham second XI 23 points, YORKSHIRE SECOND XI four points. The Tykes lost their last seven wickets for eleven runs in the first innings. Second time around, they collapsed from 62 without loss to a dreadful 88 for six. Match drawn. 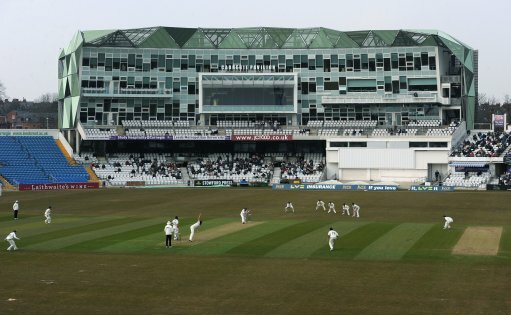 YORKSHIRE SECOND XI nine points, MCC Universities nine points. Harry Brook recorded a maiden second eleven fifty on his debut. Earlier, young Johnny Read had taken five catches in the university team's first innings. Match drawn. YORKSHIRE SECOND XI six points, Nottinghamshire second XI thirteen points. Aaron Finch piled on the runs. His unbeaten 104 came off only 135 balls, including two sixes and nine fours. The batting from the rest of the team was less good.